If you or a loved one has been involved in a road collision, having an experienced Oxnard car accident attorney working for you becomes necessary. Posted in Car Accident Attorney on Friday, Oct 27, 2017. While traffic accidents happen every day, nobody likes to get involved in one. It is frustrating having to deal with traffic congestion, drunk and distracted drivers all at the same time. Even if you are lucky to stay away from danger, a fatal accident may also affect you. But what are the common causes of these accidents? Is there anything you can do to avoid them? Unfortunately, accidents can happen even to the most cautious drivers. This is why you should contact an Oxnard car accident attorney immediately after the accident and take some simple steps to keep alert and stay safe on the highway. An estimate of 3,000 Californians dies in a vehicle accident every year. Roadside deaths keep increasing about 10% as well as traffic fatalities. This percentage kept increasing after the economy bounces back. A good economy means more people traveling by car and more getaways and weekend trips. With more people out there, your chances of getting involved in a vehicle accident will also increase. Southern California accounts for 3,000 traffic fatalities. Oxnard alone loses hundreds of people in car accidents every year. In order to protect yourself on the highway, you should hire an experienced Oxnard car accident attorney to handle your situation. Drunk driving – Some people trust themselves after a couple of drinks. It is not okay to drive if you are intoxicated. Also, stay away from drunk drivers. Distracted driving – This is one of the most common causes of vehicle accidents. Drivers are used to talking on the phone, texting, eating and doing so many other things while driving. Speeding – This is the most commonly issued ticket across the nation. Read road signs, especially if your are visiting a place you are not familiar with. Driving at night – It is harder to drive at night, especially in areas that aren’t well lit. Try to drive during daylight hours. Remember that driving requires your full attention and you need to stay alert. Driving at night may not be a good idea. Traffic signs – Some road signs are difficult to read yet it is important you slow down and take time to read them. Obeying traffic laws can help you avoid many dangers on the road. 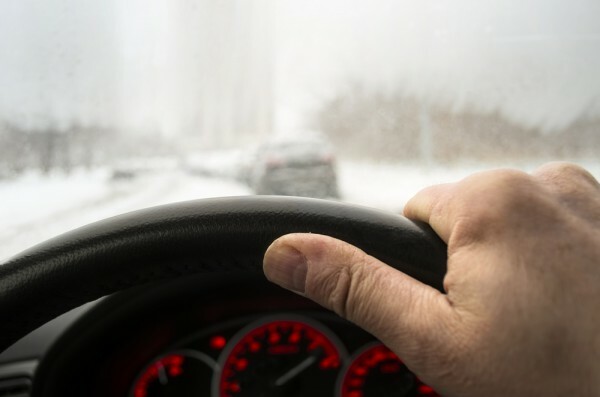 Bad weather conditions – A vehicle accident caused by bad weather can have life-altering consequences for all the people involved. Road debris – Road debris can be extremely dangerous and cause devastating accidents. Your attorney is your advocate and the person you trust to handle your personal injury claim. If you or a loved one has been involved in a road collision, having an experienced attorney working for you becomes necessary. You need someone to organize evidence and prepare your case. Some car accident cases can be complex requiring expert legal intervention. Call us today and schedule your initial case evaluation with personal injury attorney J. Jeffrey Herman.